(July 14, 2018 - 12:15 pm - updated 9:25 pm) On the evening of July 13, a fire was reported on the outdoor terrace of the McIntyre Medical Building. Authorities arrived quickly and the fire was soon extinguished. No one was injured. We ask that people continue to avoid the area. McIntyre remains closed until further notice. The damage is being assessed and remediation efforts have been underway since late last night. We continue to work to minimize the impact on research, classes and other operations; faculty, staff and students who work or attend classes in the building will receive further instructions and updates via e-mail. 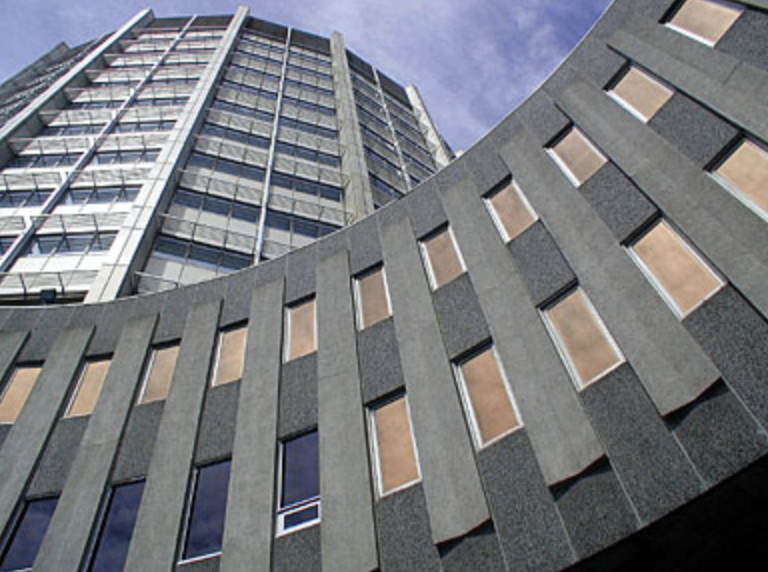 Requests for entry into the building to attend to urgent research needs must be communicated to the Security Operations Centre at 514-398-3731, and will be evaluated on a case-by-case basis – the first priority will be ensuring the safety of all involved. Additional details will be posted to the McGill website. Damage appears to be limited to the lower floors and basement on the south side of the building, and resulted largely from water deployed during firefighting efforts. Some research may be affected, but thanks to swift action by firefighters, the rare holdings collection of the Osler Library of the History of Medicine appears to be undamaged. Other library holdings sustained some damage. On the evening of July 14, long after the fire was thought to have been extinguished, flames re-appeared near the wooden outdoor terrace. Firefighters returned to douse the area once again, leaving only when they were certain that the fire was completely out. The brief flare-up was confined to an already-damaged area, and remediation efforts have not been disrupted. I would like to express my gratitude to our front-line Campus Public Safety and Facilities Operations teams and Montreal emergency authorities for their swift intervention.